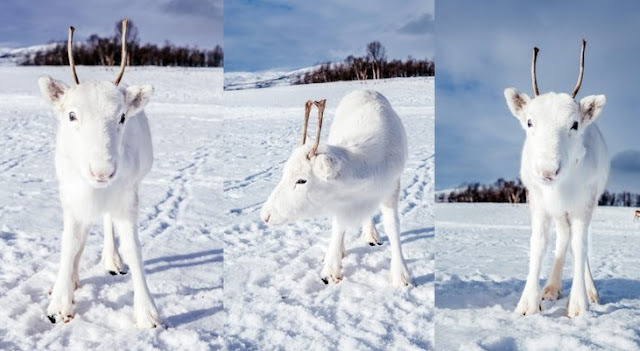 This extremely rare white baby reindeer almost disappears into the snowy background of these magical wintry snaps. 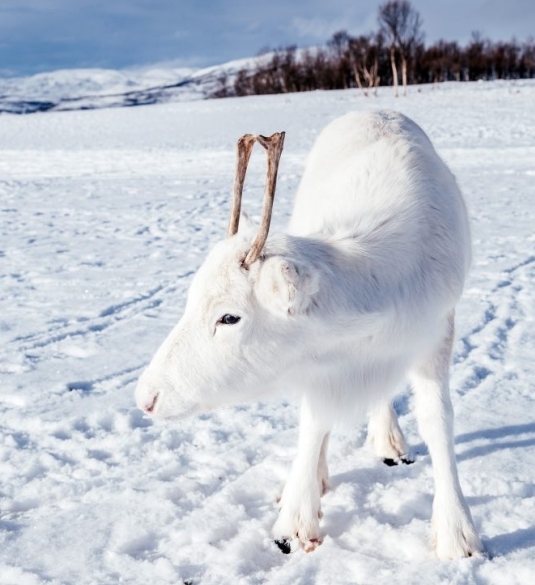 Despite its apparent camouflage, the adorable pure white deer wasn’t shy as it ‘posed’ for pictures in the mountains of Northern Norway. Photographer Mads Nordsveen, from Oslo in Norway, was on a hiking trip with friends when he spotted the almost mythical creature. The 24-year-old said: “I was walking in the mountains looking for nice landscapes for my travel photography when out of nowhere I saw this wonderful little creature. “He came very close to me and we looked at each other straight in the eyes. “He was quite relaxed when he saw that I was calm and friendly. It was almost as if he posed for the camera. “He was very curious and fun. Like a little explorer. “After some minutes the mother of the baby reindeercame out of trees just behind. “It walked around for some minutes before running back to its mother. 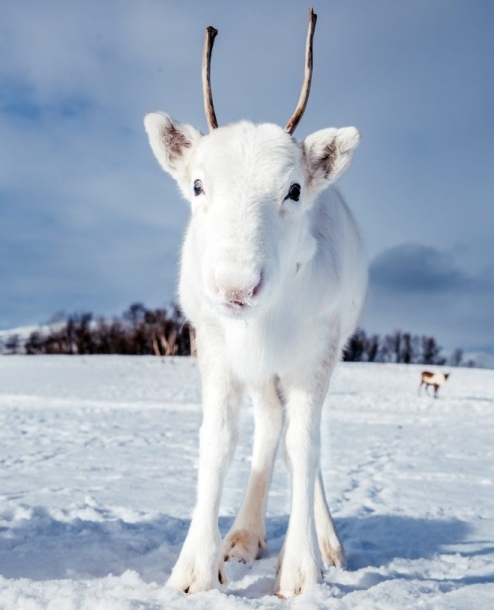 White reindeerhave an uncommon genetic mutation that strips their fur of pigment to allow them to blend into their snowy surroundings. 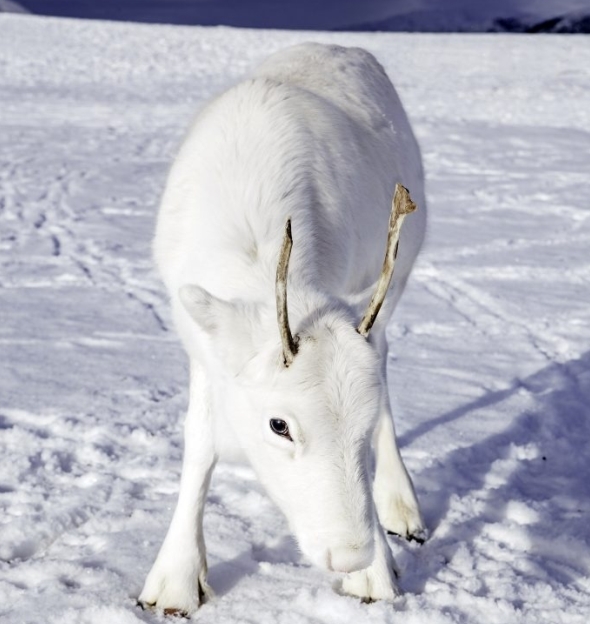 They’re not albino because their eyes and sometimes their antlers still have dark pigmentation. Responses to "Extremely rare white baby reindeer almost disappears into the snowy background"